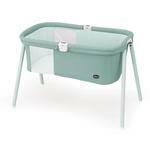 LullaGo is the innovative portable bassinet where the newborn can sleep at any time, whether at home, on holiday, or visiting the grandparents. 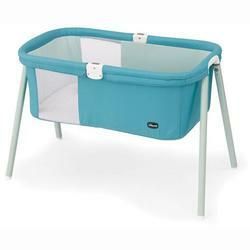 The Chicco LullaGo can be disassembled and folded in under a minute, and can be conveniently carried in its matching carry bag in order to have it always with you. 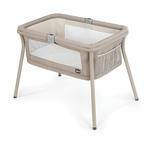 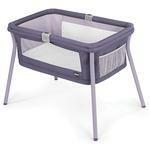 This sleek bassinet features a streamlined structure, which is light and stable. 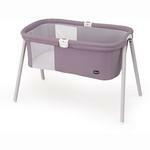 Soft fabrics and a comfortable mattress create a perfect environment for baby, and the mesh inserts provide perfect aeration for comfortable sleep.